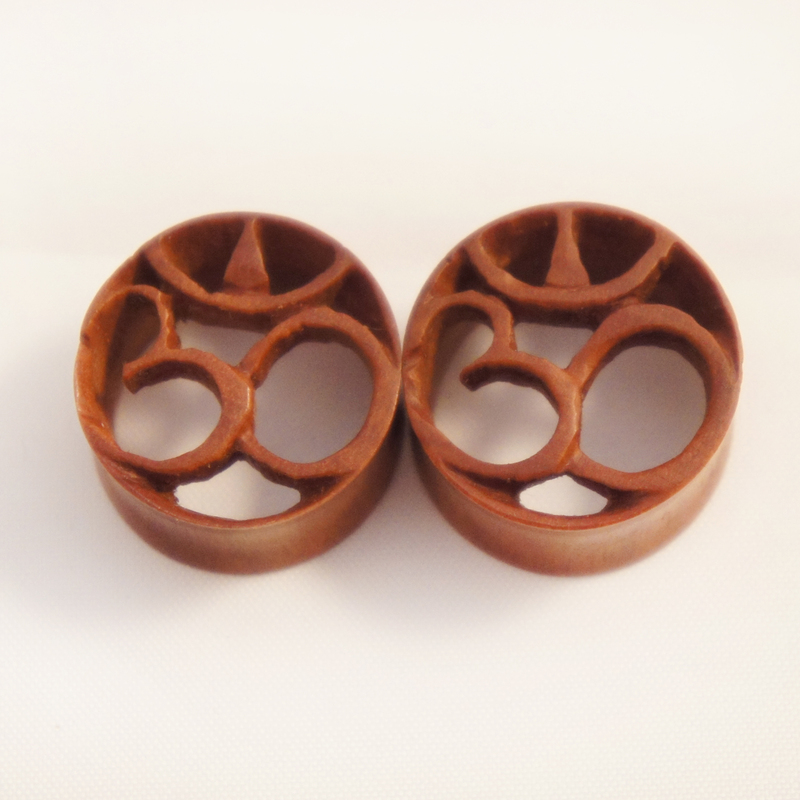 These beautiful Hindu gauged earring tunnels have an ohm symbol carved into a light brown Sawo wood plug. The tunnels have been delicately carved and fashioned into a beautiful mantra. 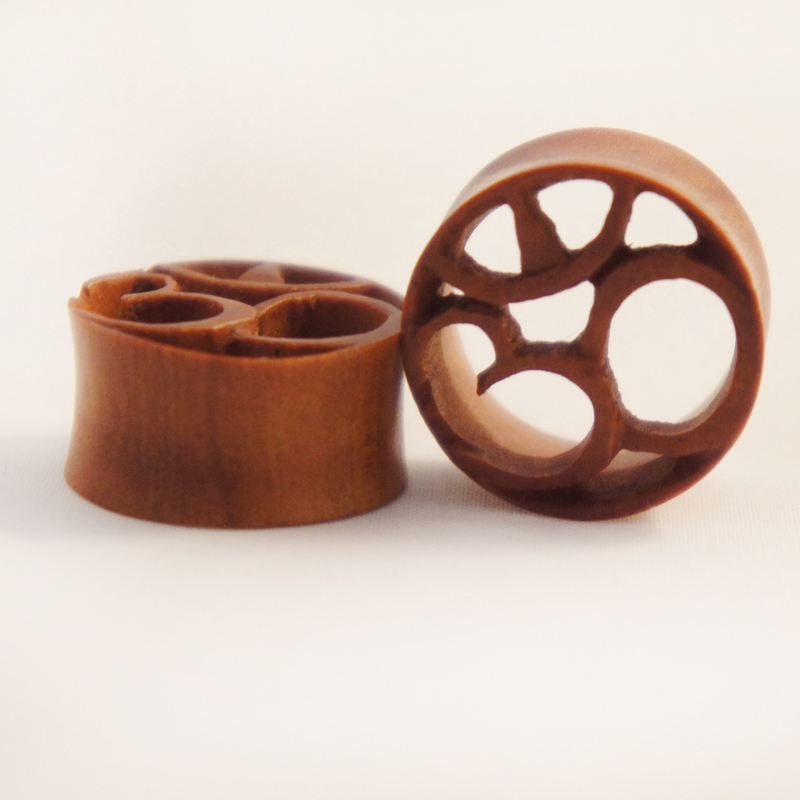 Sold as a pair, these are traditional saddle gauges and will flare out slightly on both sides of the plug. 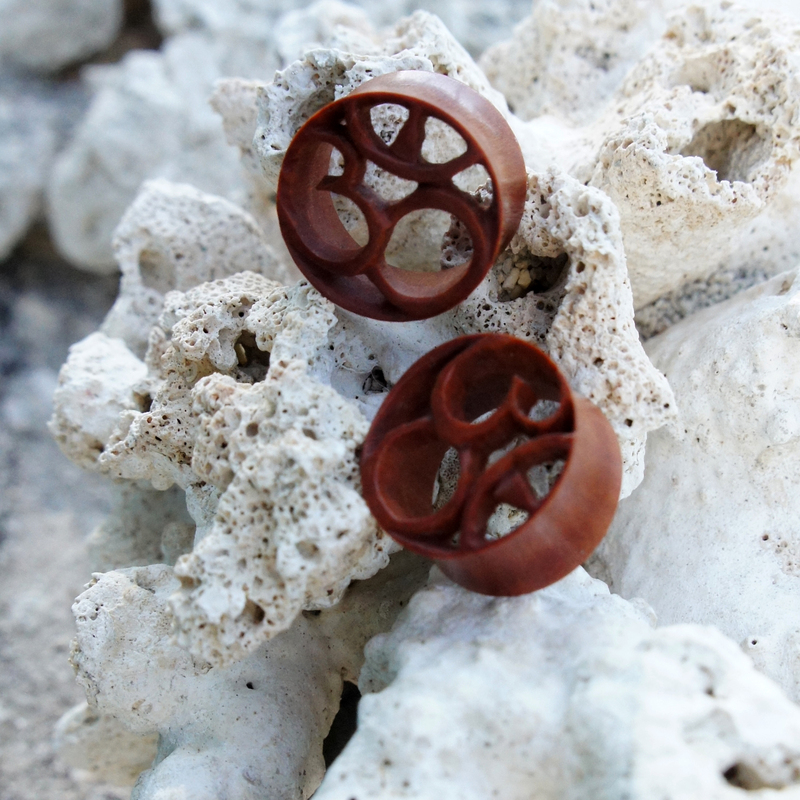 If you don't see your gauge size listed please feel free to contact us or check back later since we're constantly restocking or adding new sizes and styles to our line.